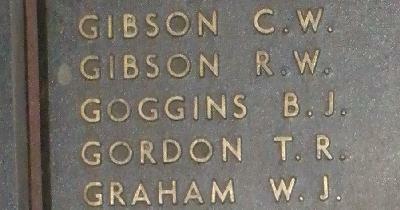 War Grave Register notes: GOGGINS, Tpr. Bartholomew James, 2425. 1st Australian Light Horse. Died of wounds 5th Aug., 1916. Age 22. Son of Ambrose and Mary Goggins, of Warwick, Queensland. B. 6.